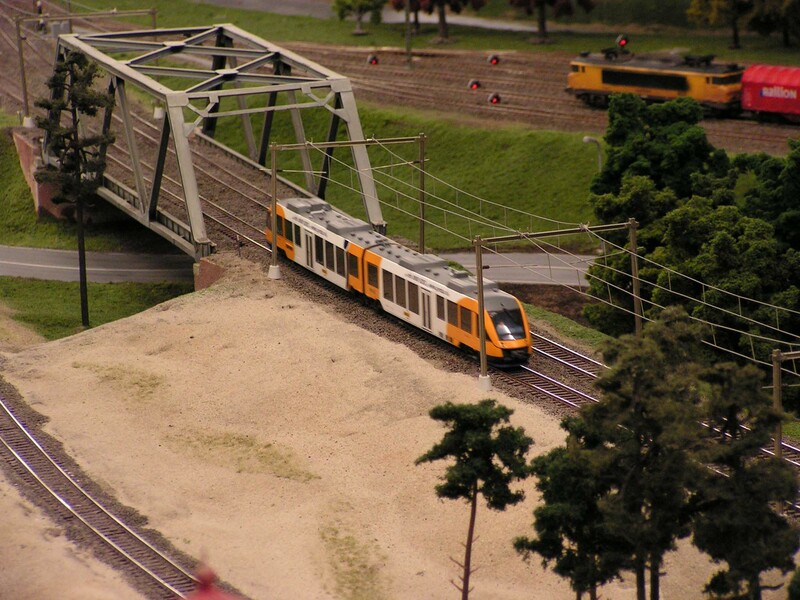 Railz Miniworld Rotterdam the Netherlands. During my vacation in August 2007 I visit Netherlands largest permanent model train layout, located in the Weena in Rotterdam, which is close to the Central station. 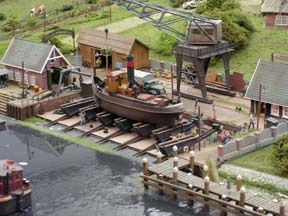 Of course I brought along my photo and video camera so I can make a multimedia article of this spectacular attraction. 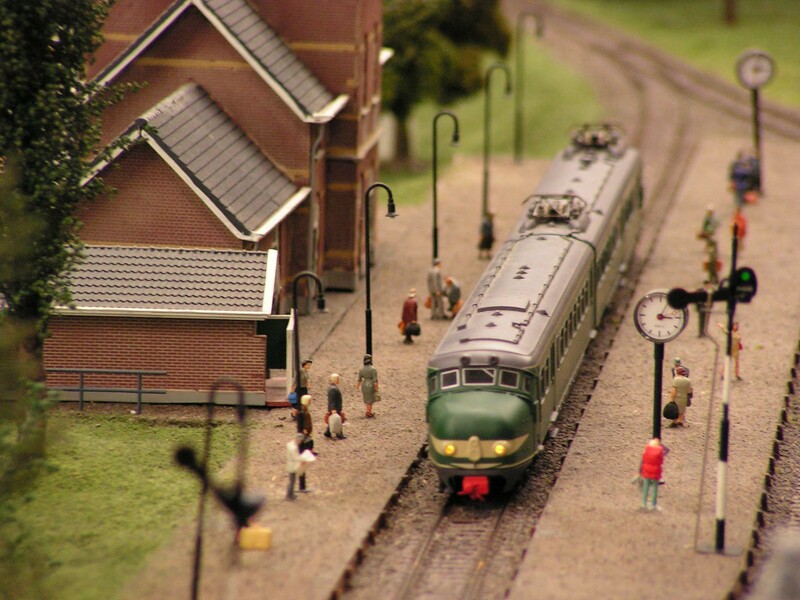 Articles and photo’s from this attraction can be found on more and more Dutch model train hobby websites, so now I have one on my website as well. 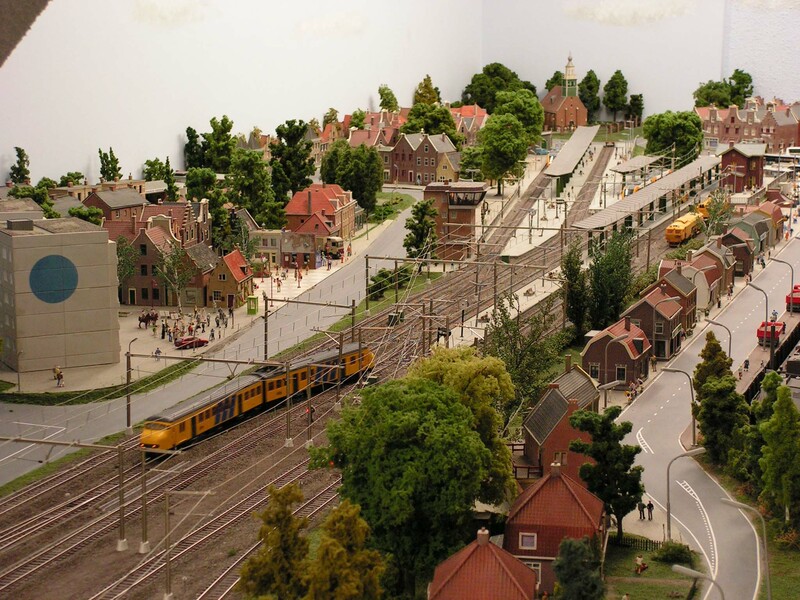 A visit to Railz miniworld is highly recommended when you are visiting the Netherlands and are in the vicinity of Rotterdam. 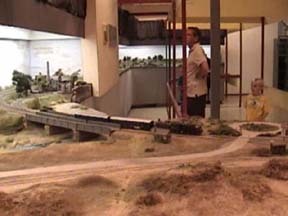 During my visit only a small portion of the entire layout was open to the public. 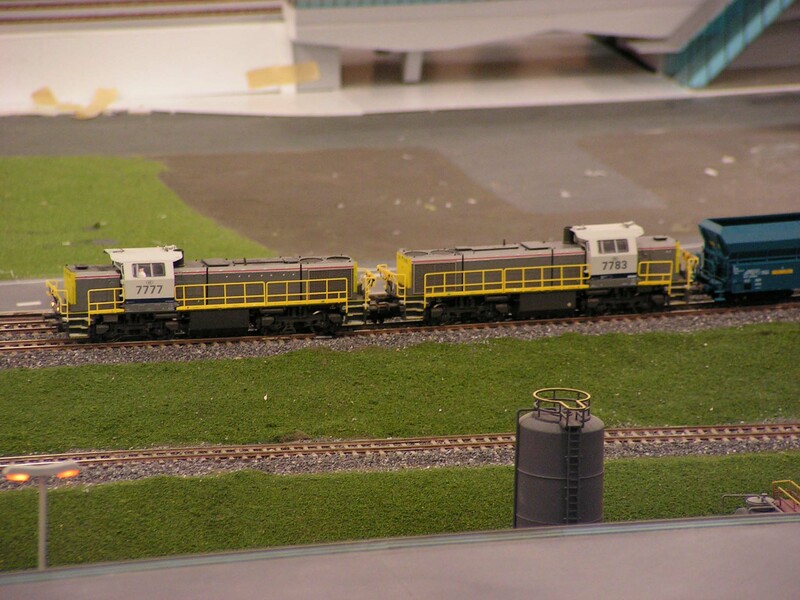 The staff at Railz is working hard to expand the layout (layouts), which will take a few more years to complete. It is worth your time to come in and view the section of the Dutch layout that is finished at this time. 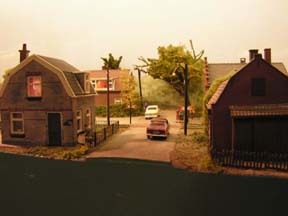 Just about anything that is typical Dutch, is modeled in Ho scale. 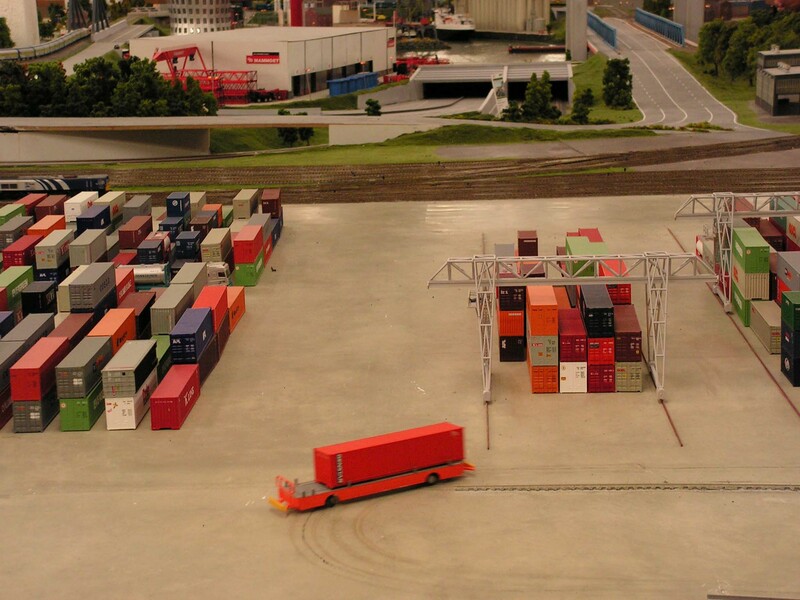 From long polders to a big city and from a small industry to a huge container terminal. 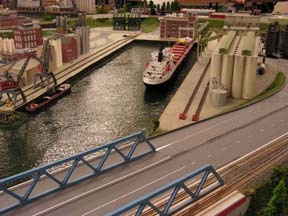 Railz also modeled a harbor, which is Europe’s largest model harbor, this of course is a must since Railz is located in Rotterdam, the city with the world largest harbor. 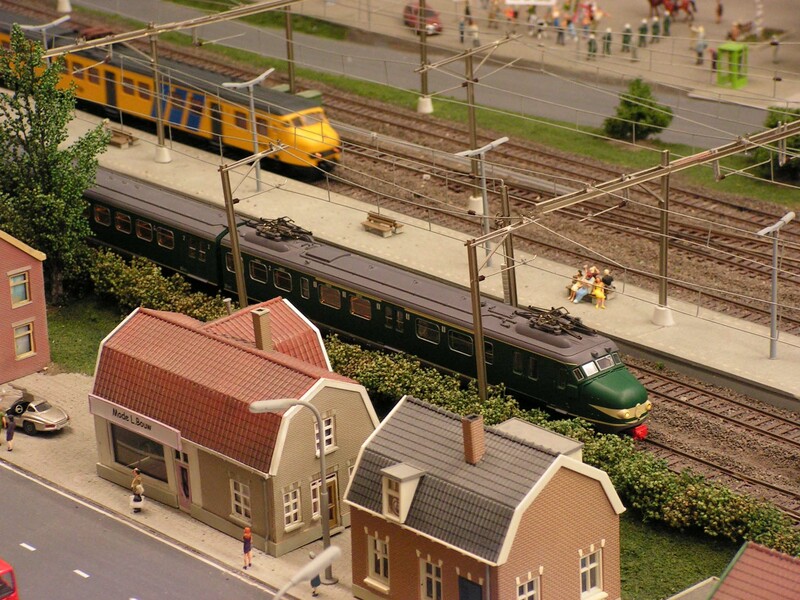 Many Dutch train ride along on this huge layout, both passenger and freight trains. There are also a few freight trains pulled by Belgium locomotives, just like in reality. 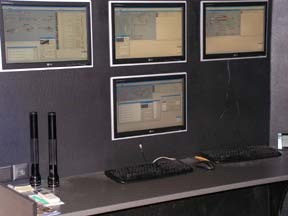 The movement of the trains in controlled with a number of computers, and the operating software is Koploper, the same software in use by many hobbyists, including me. 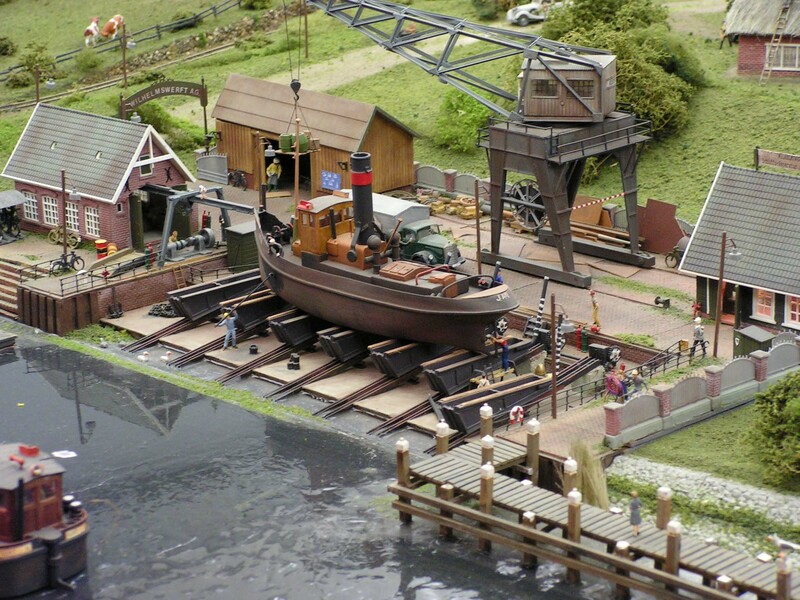 Besides the giant layout, there are more interesting sights. 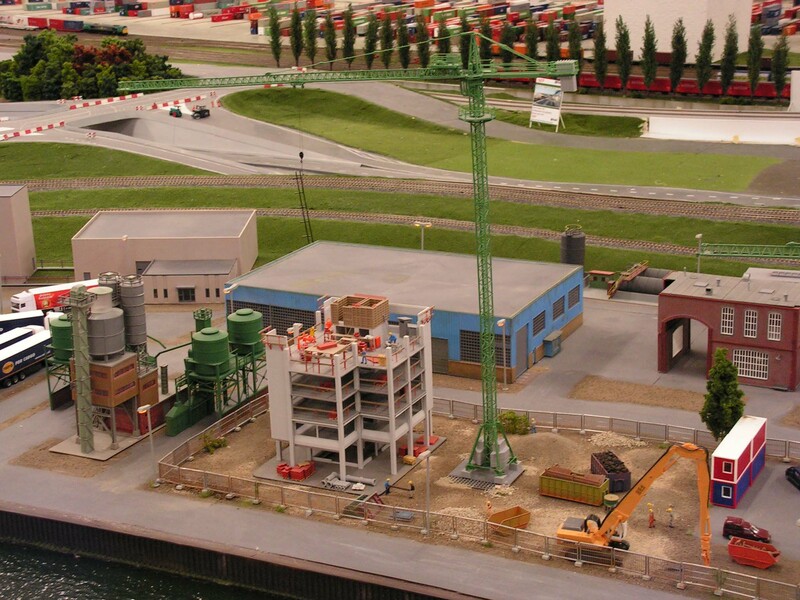 The model construction work shop where the scenery and structures are build, the mini theater and a gift shop. 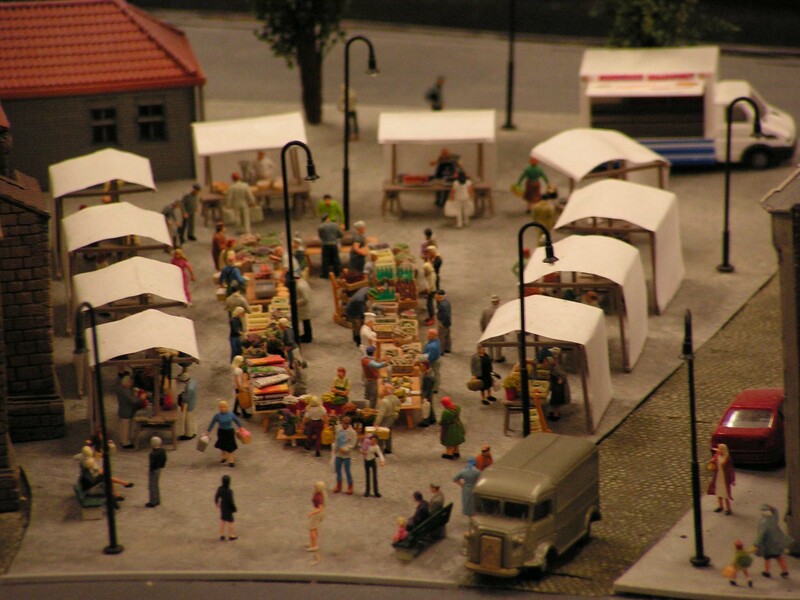 This store carries a small collection of model train goods, and she is strategically placed near the exit. 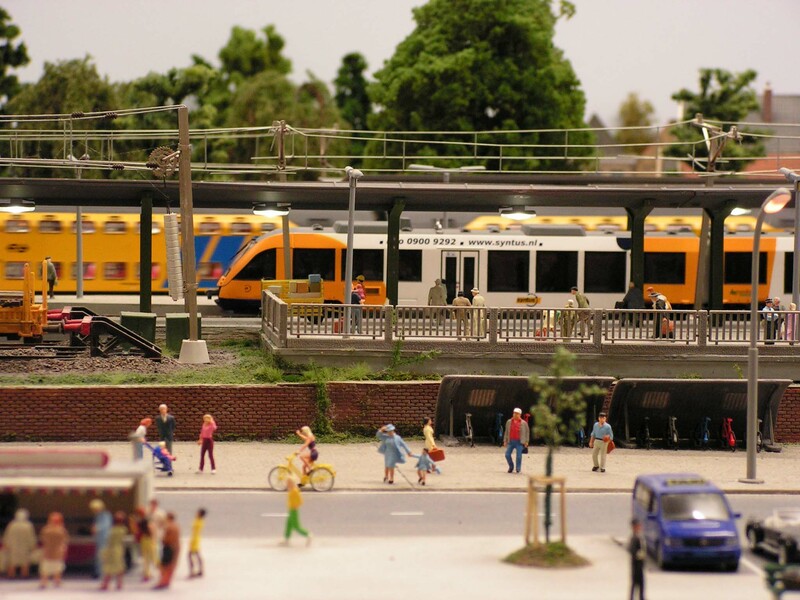 Believe me after seeing al the miniature trains, you really are in the mood to make your own, and do I need to see more? 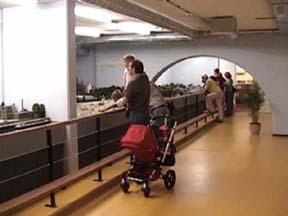 It is also possible to join a guided tour, behind the scenes, with an explanation of the layout and how it works. 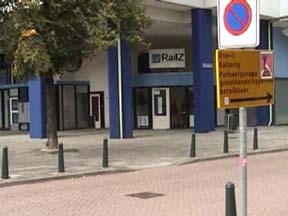 And if you get hungry while visiting Railz, they do have a nice restaurant. 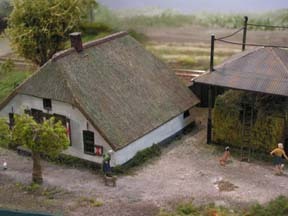 Underneath this restaurant is a small staging area where there are a few small layouts, including the Coastal layout from Spijkspoor, La Trinite s/M and the Poldermodel. Don’t forget to check these, and others out as well. Railz is guarantied to be a nice attraction for a day out in Rotterdam, which I combined with a visit to the Euro mast, and… Meyer and Blessing, Rotterdam’s largest model train store. 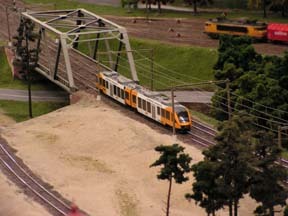 Click this link to visit the Railz miniworld website. 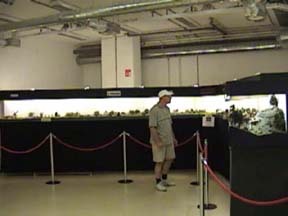 In this report I have 24 photo's. 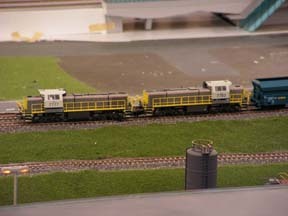 These photo's are part of the 68 total photo's I made at Railz. If you are interested to see all 68 photo's then I recommend one of my two photo albums. Photo album with photo's in 600 x 450 pixels resolution. Photo album with photo's in 2048x1536 pixels resolution. 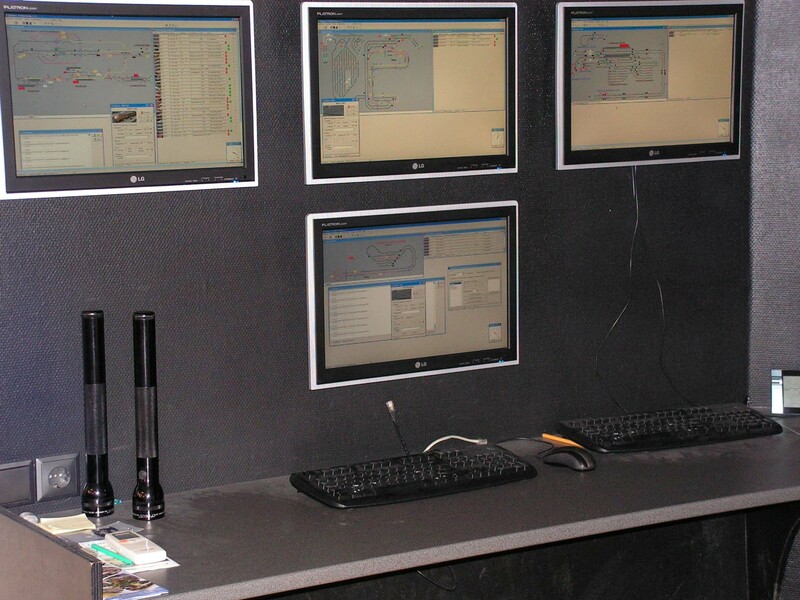 The numbers in the map refer to the location of the photo's in this report. 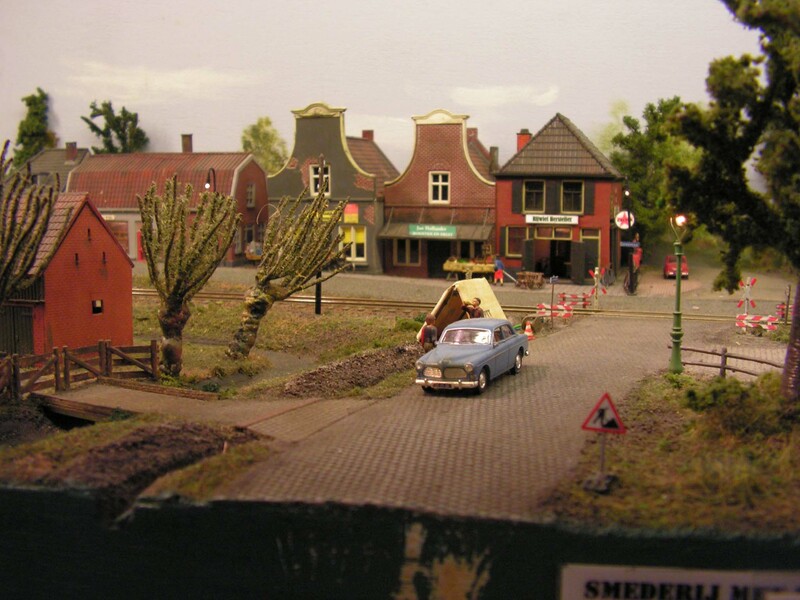 1 - An plan V from Fleischmann enter the station of Marendam. Something is happening on the square, the mounted police is keeping an eye. 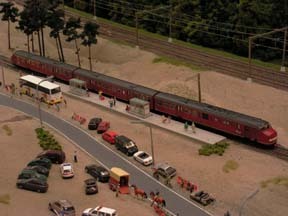 2 - An bi-level train just arrived and will soon turn arround. 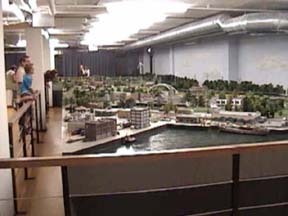 All those Artitec houses make a old downtown atmosphere. 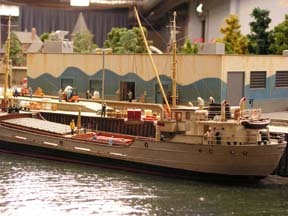 3 - An Syntus Lint from Mehano is ready for departure. 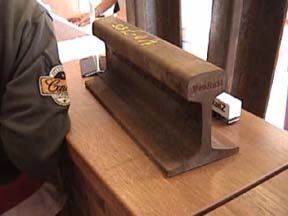 4 - An Piko mat. 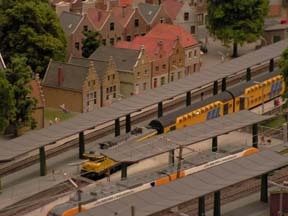 '54 and Fleischmann plan V arrive side by side in Marendam station. 5 - An Fleischmann plan V and Sprinter arrive in Leckenzijl station. 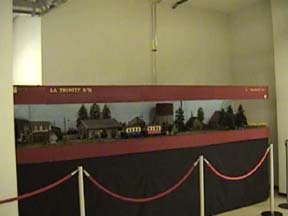 6 - Een Lima bi-level train in Zeshuizen. 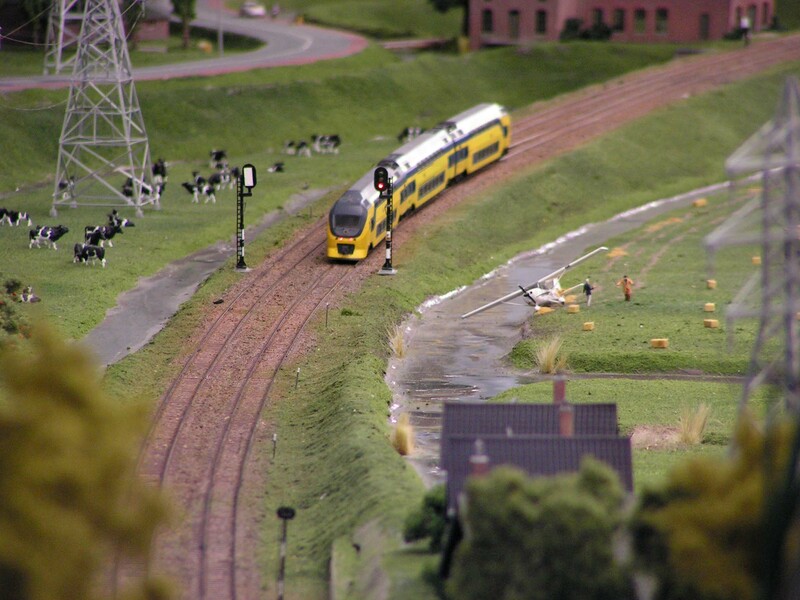 A small airplane crashed near the railroad tracks. 7 - The weekly market in Sluishoek. 8 - An Piko mat. '54 in Sluishoek station . 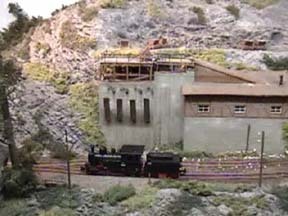 9 - The Mehano Lint from Syntus on it's way to Marendam, passes the beach. 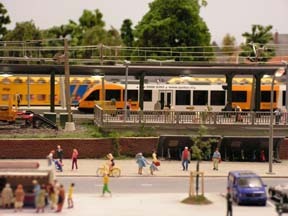 10 - An "custom build" diesel plan U at the beach Marendam station. 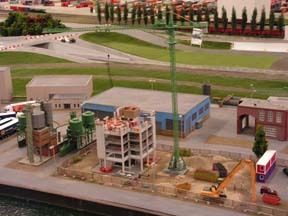 11 - An office building under construction. 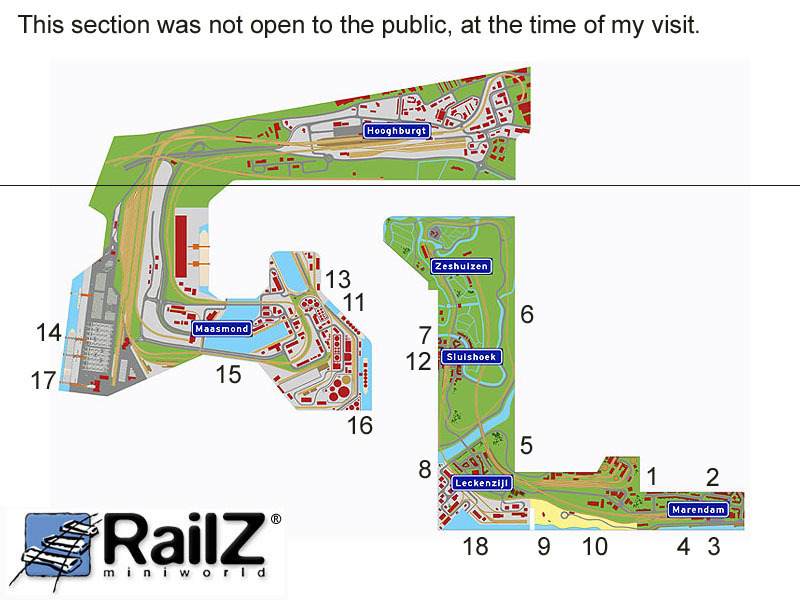 12 - About every half hour it is dark in Railz. 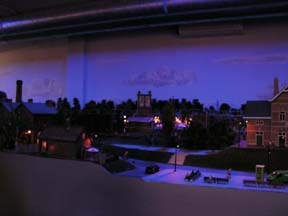 The lights dim and model lights pop on. 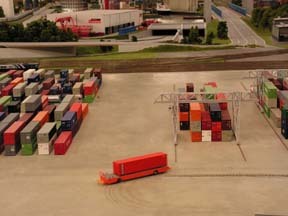 13 - A freight train pulled by two Belgium locomotives class 77 from Mehano, on their way to the freight yard, in the huge harbor. 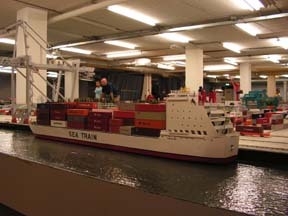 14 - The ECT terminal in model with hundreds containers. 15 - A view of Maasmond harbor. 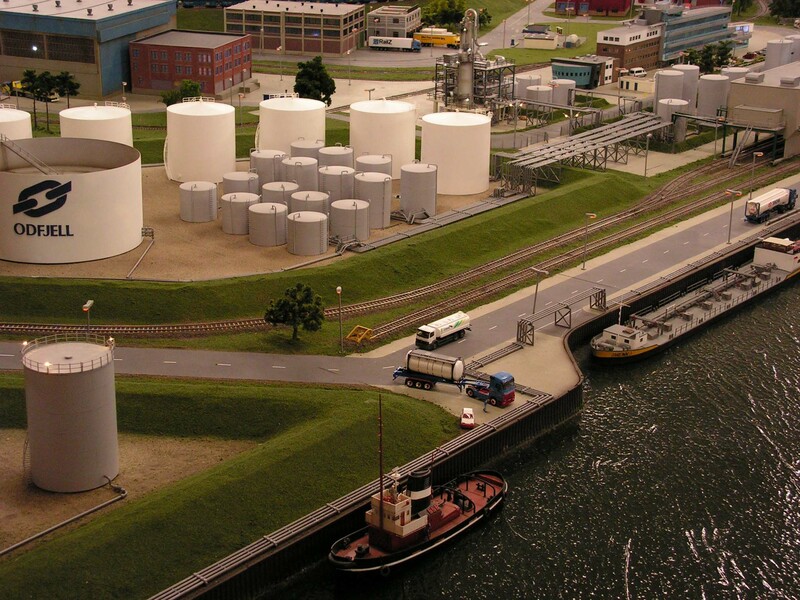 16 - The Odfjell petrochemical in model. 17 - A huge container sea vessel, in Ho model still larger then 3 feet. 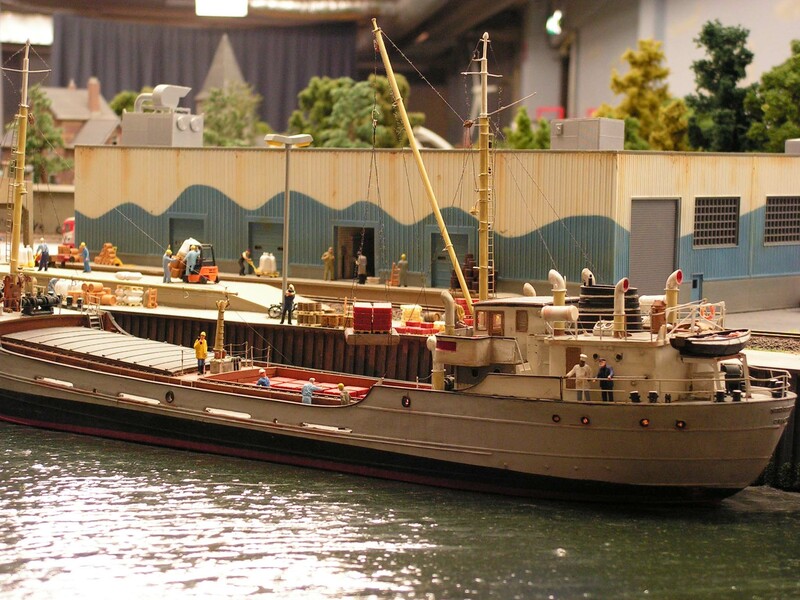 18 - Another pretty ship but a bit smaller. 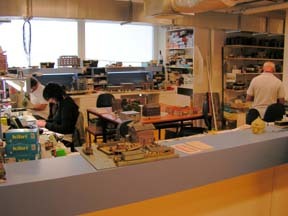 The model construction work shop.